This one was taken February 18, 2011 deep inside Massasoit State Park, near Lake Rico. 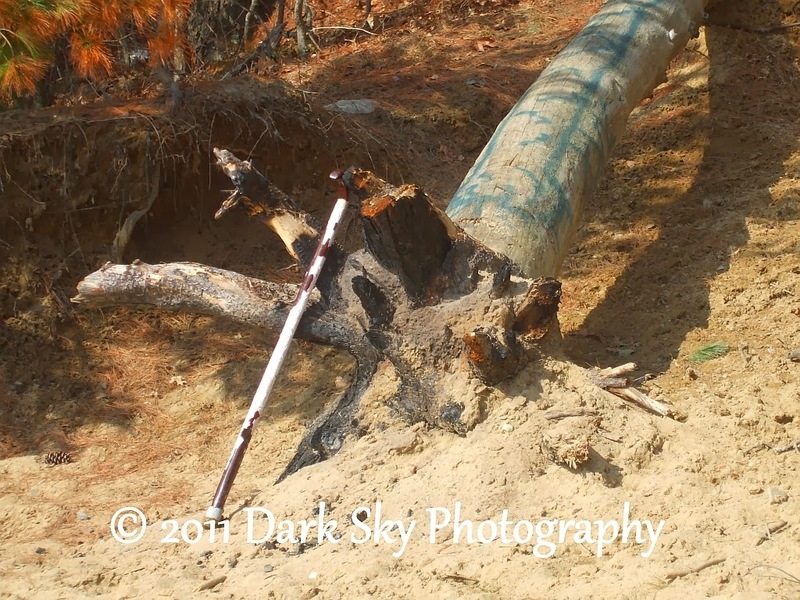 That's my old cane leaning against the fallen and burned tree. I took this with my FujiFilm A820, which I haven't been using at all lately. I mostly only used it in my paranormal investigations for the past couple years and then I retired it from that as well. It has served me well and it still works but it has some minor issues. I've been trying to post old ones (when I do post old ones) that correspond to the date of the posting but from previous years.